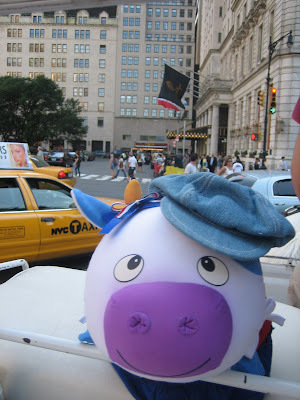 My Cow Moo: Carriage Ride and the Plaza! Carriage Ride and the Plaza! We went on a beautiful horse & buggy ride through Central Park. I loved being so high-up so I could have a clear view of the city streets. I donned my favorite cap and felt my heart skip a beat when we passed The Plaza. Hello? Hi! Moovelous!! !